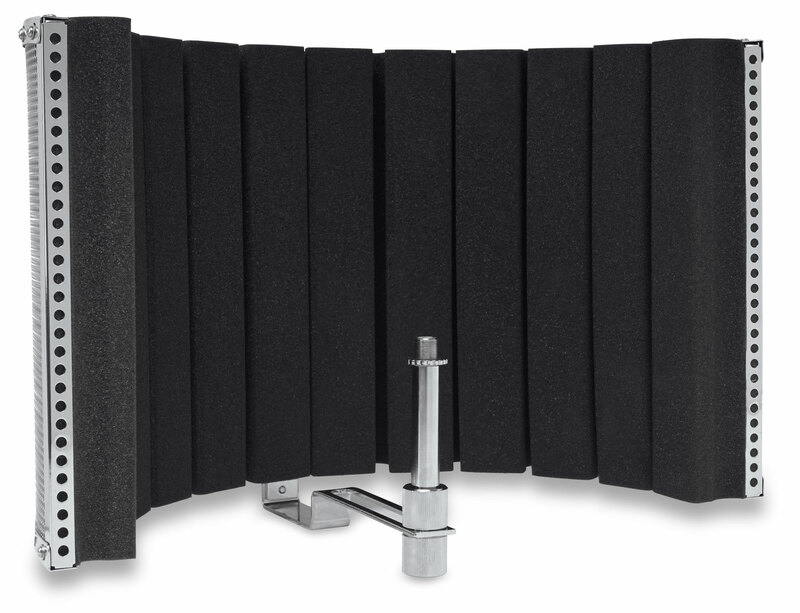 The new Pronomic CM-22 is a professional large-diaphragm microphone, ideal for the demands of the studio. The FET (field effect transistor) technology provides high-quality signal transmission on a completely analog base, delivering warm, smooth sound. 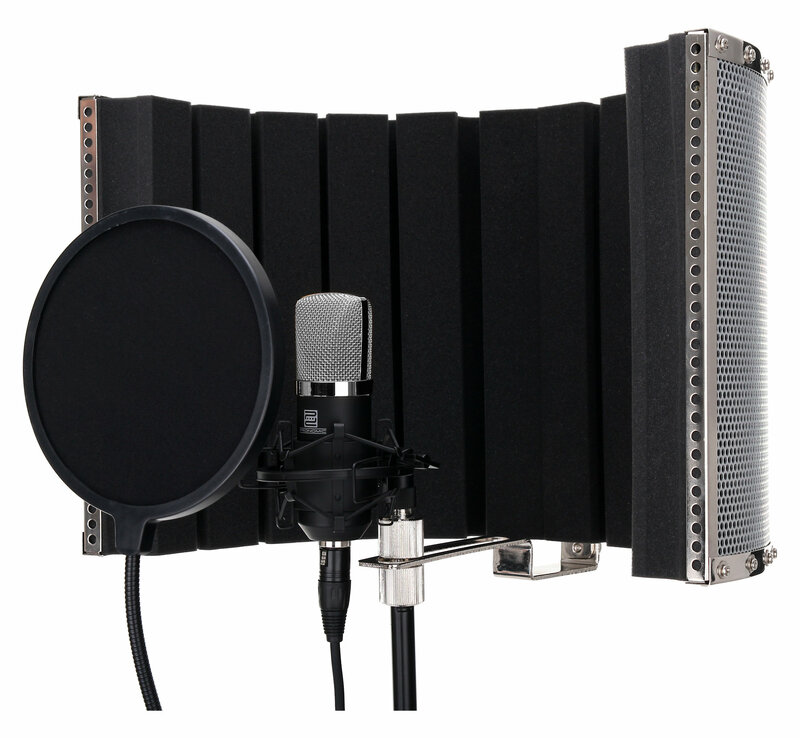 This makes it the first choice in the studio for recording vocals and acoustic instruments, such as guitar, strings and percussion. The gold-plated 1.25 "diaphragm and the FET preamp produces a balanced, wide frequency range and very low feedback – an absolute must for professional recordings! 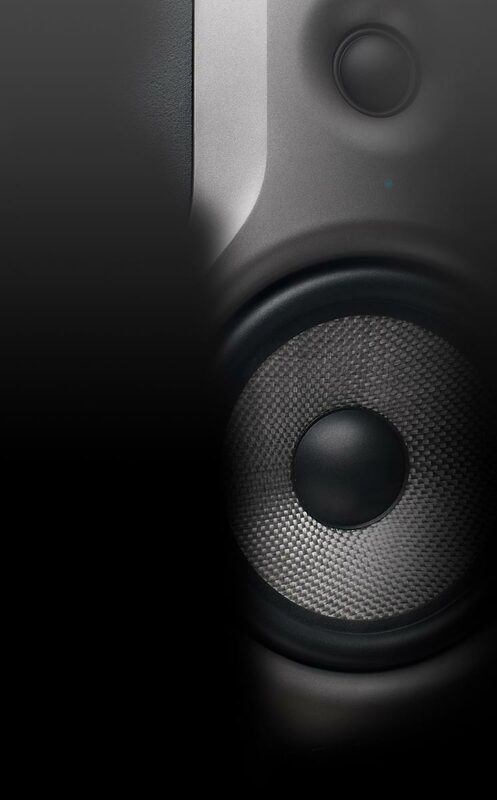 The directional characteristic with its stability over the entire frequency range makes the CM-22 a true jack-of-all-trades. 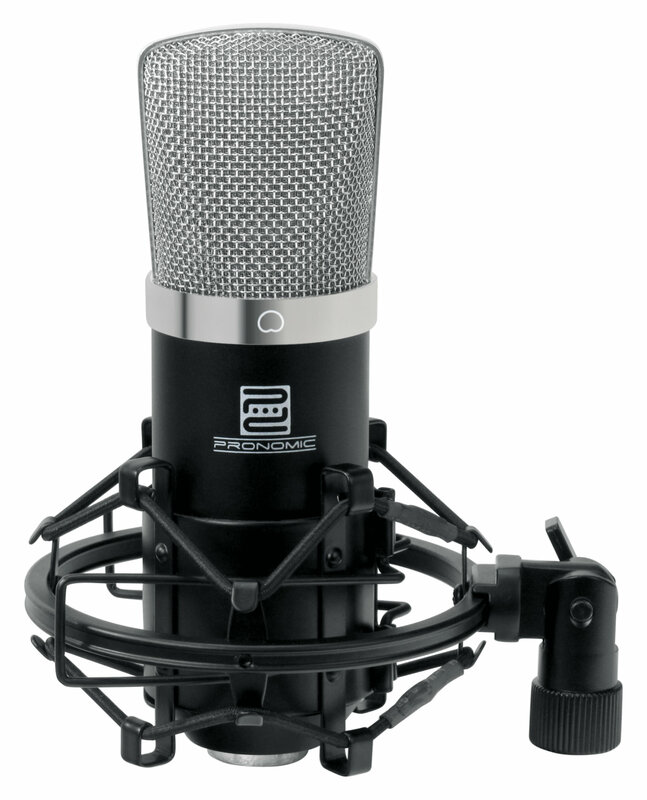 For example, use a second CM-22 in the studio for high-quality stereo recordings (drum overheads, classic or traditional groups, radio play, Atmos, etc.). 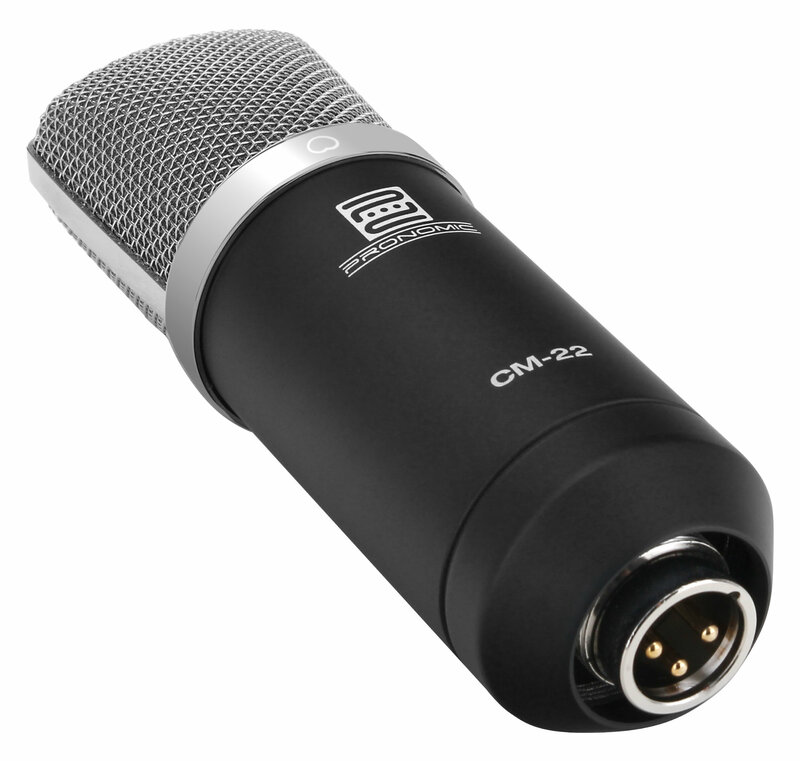 The CM-22 comes with a high-quality microphone spider (5/8" thread) and a carrying case. How can I connect the CM-22? 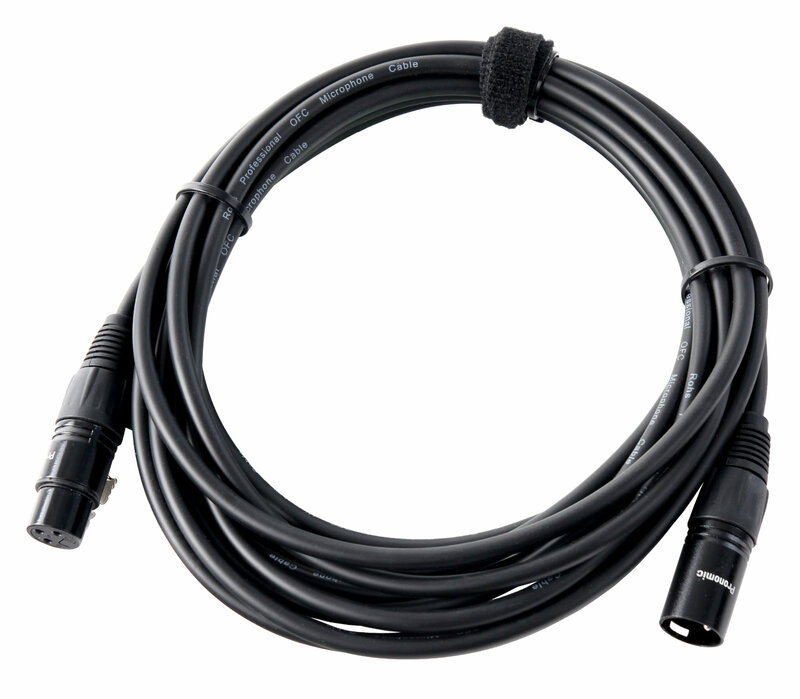 As a condenser microphone, the CM-22 needs an XLR connector with pre-amplifier and 48V phantom power, such as mixer or audio interface. This microphone is not suited for direct connection to a computer. 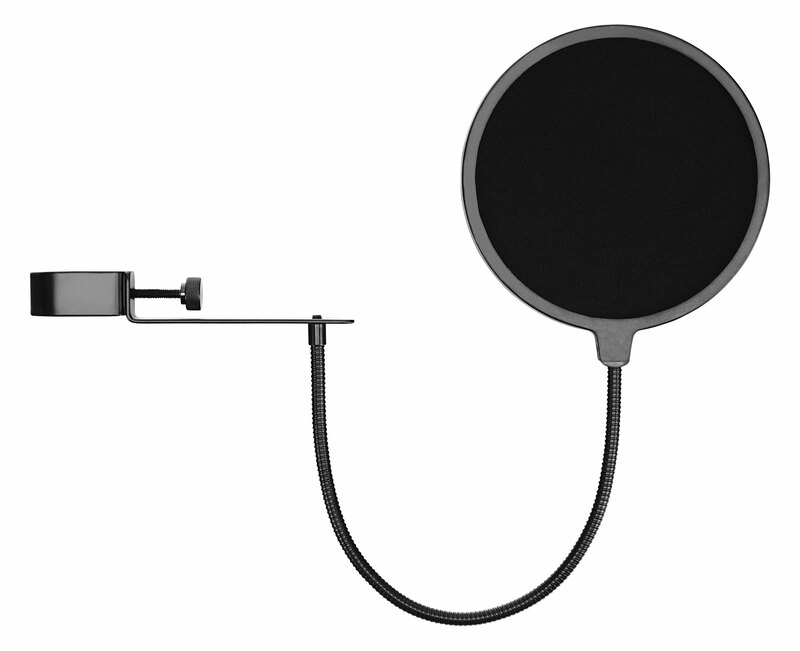 With this complete set, you also receive a black pop filter, mic screen and XLR cable!